Back in October when Detailed Image first started carrying Chemical Guys Wheel Diablo Gel I was given the opportunity to test this product to the fullest and now it’s a key product in my wheel care arsenal. Not only is it a great value and smell great, it works very well and is safe on all surfaces which is extremely important to me. This product contains no harmful chemicals and is completely bio-degradable. With the types of cars I’m working on day in and day out, the last thing I need to worry about is damaging any wheels. With Diablo Wheel Gel simply spray on, agitate, then rinse, and watch the brake dust and grime be washed away. I had the perfect test car to demonstrate to you guys exactly how safe and effective this wheel gel is. The car I’m about to show you is tracked on a regular basis so you can imagine the tough grime build up throughout the wheels. Mixed at a ratio of 3:1 Diablo Wheel Gel easily cut through and left the wheels looking great with very minimal effort. 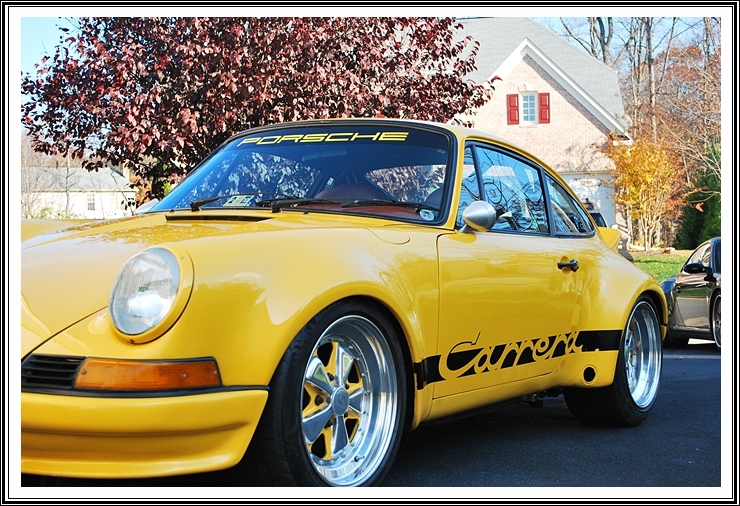 This 1977 Porsche in Speed Yellow has custom painted centered spokes. You can see in the pictures where the wheels match the exterior paint. Now if this product wasn’t as safe as I am telling you, there is no way I would of used it on these wheels. Take a look below at the cleaning power and the foaming capability of Chemical Guy’s Diablo Wheel Gel. If you have any additional comments or questions, please submit them in the comment box below. Thanks for the review. Is Diablo Gel effective for cleaning tires too? For tires you will want to use something like Optimum Power Clean or Meguiar’s Super Degreaser. This will penetrate the surface and remove/loosen and oils from the tire so you have a fresh base for your dressing. I’ve tried this on heavily soiled wheels and actually it works pretty good. I dilute a 3:1 ratio and 4 or 5:1 on heavily soiled rims. I always have another product on hand in the events of any problems. You can never go wrong with Chemical guys products. Been looking at trying their new series of rim cleaner as well.